I moved to Phoenix/Scottsdale Arizona area a couple years ago from the midwest and found a whole new group of creatures. The one that bothered my wife the most was scorpions. The day we moved into our house we found one lonely scorpion limping alone the baseboard in our living room. She freaked out a bit and I went to the internet to find a Do It Yourself (DIY) way to kill scorpions. Online I also found out that Arizona is home to the pretty nasty bark scorpions. First we bought a LED UV flashlight so we could easily see them. We used it to find scorpions at night and figure out where they may hide or nest nearby. It also was a fun "hunting" exercise for our nephews. Thankfully we only found a few scorpions on our property and weren't infested. 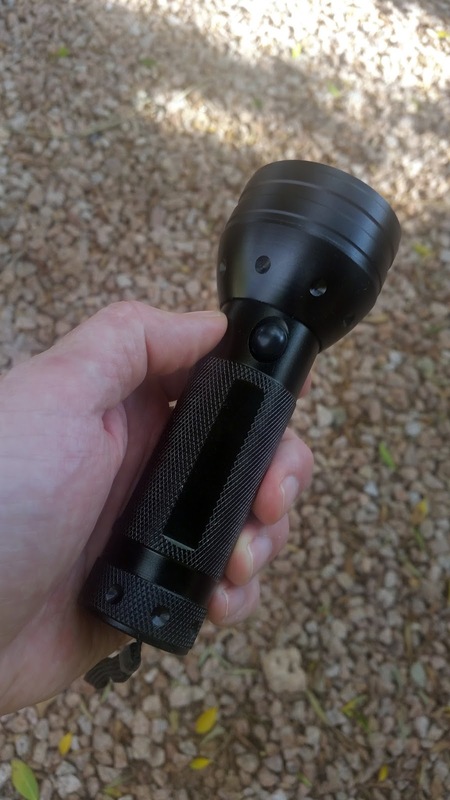 LED UV Flashlight Ultraviolet Black Light Flashlight - Inexpensive aluminum LED UV flashlight from Amazon. Just remember to by the 3AAA batteries for it. Backpack Sprayer Chapin 61800 4-Gallon ProSeries Backpack Sprayer - Great backpack sprayer that makes mixing and applying these chemicals easy. I use it for all my spraying chores around the yard. Any pump up sprayer would work also. I did a lot of reading on the internet about how to what chemicals are recommended to kill scorpions. There seemed to be two types of chemicals that were effective. I decided to use both and alternate one every other month. 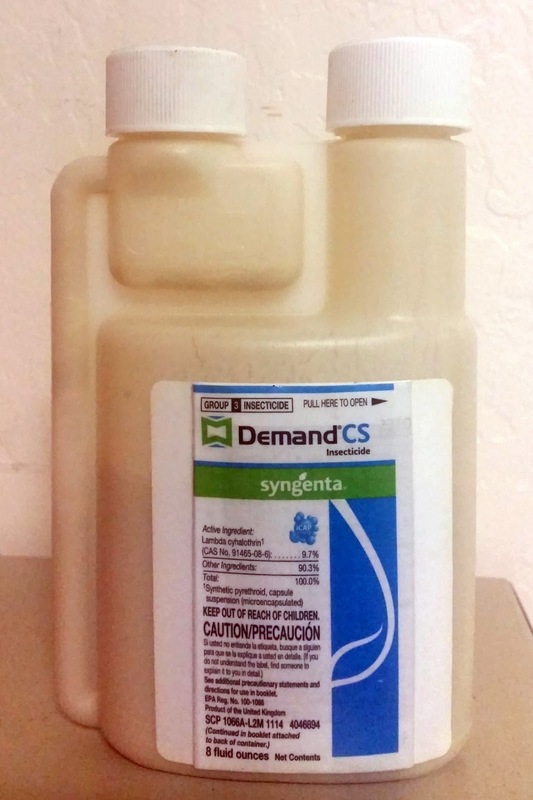 To get around our 2700 sq ft house and 3 car garage, I need about 1.5 to 2 gallons of insecticide. This spray dries invisible and works well on scorpions (and other bugs) for a period of time. I spray it in a 2 ft band around the foundation, around the walls of the garage, around windows and doors, also inside under appliances and under sinks and in some large stone landscaping where we saw a couple with the UV flashlight. I use this residual insecticide mainly outside and it will leave a white residue on dark surfaces. Sometime this is nice to see how long it lasts and where it is sprayed. I spray it in a 2 ft band around the foundation, around the walls of the garage, around windows and doors and in some large stone landscaping where we saw a couple with the UV flashlight. Since we have been doing this for almost 2 years we have not seen any more scorpions in the house. The couple that we saw outside have also gone to zero. Another nice plus is we don't see any other bugs around our pool and patio worth mentioning. It takes about 30 minutes once a month, and about $75 in chemicals a year to get DIY scorpion pest control at our house. 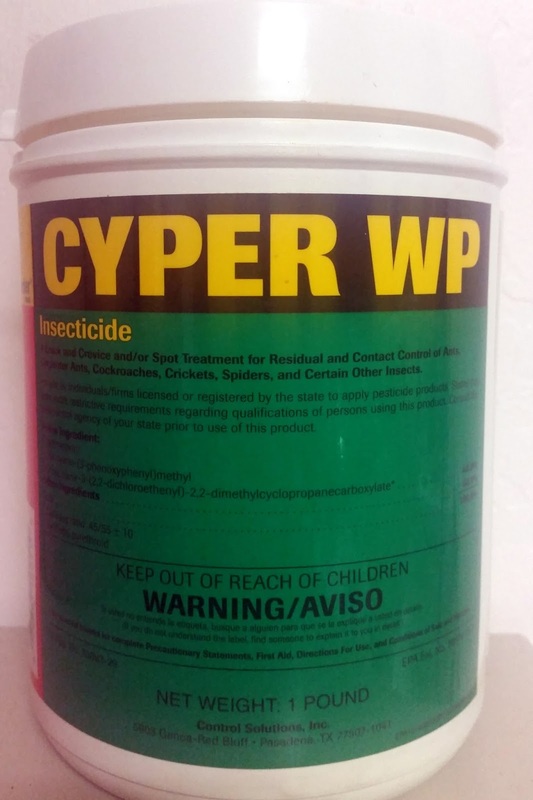 I need to buy the 8 oz CS product once a year and a 1 lb container of the WP should last 2 years.The price really went up on Cyper WP, so next time I may use Cyper WSP (understanding is they are the same chemical makeup).